pirates and peonies: winter | and other cool stuff. winter | and other cool stuff. 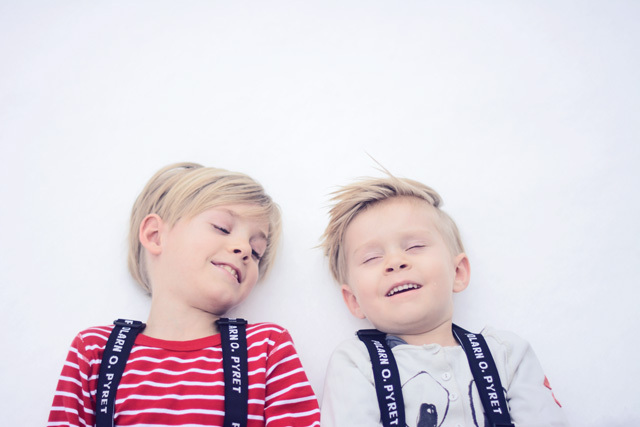 Our friends at Polarn O. Pyret are so amazing! 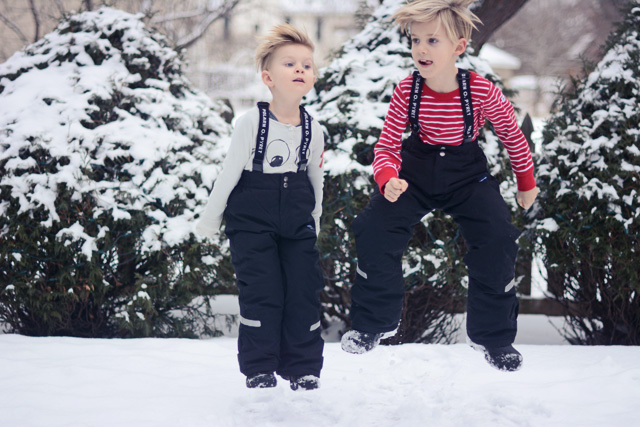 I have been a huge fan of their clothing for a long time (we kind of live in their striped pieces around our house) and I always wanted to test out their snow gear, so I was totally geeked out when they asked us to come into their Edina location and take a peek around. 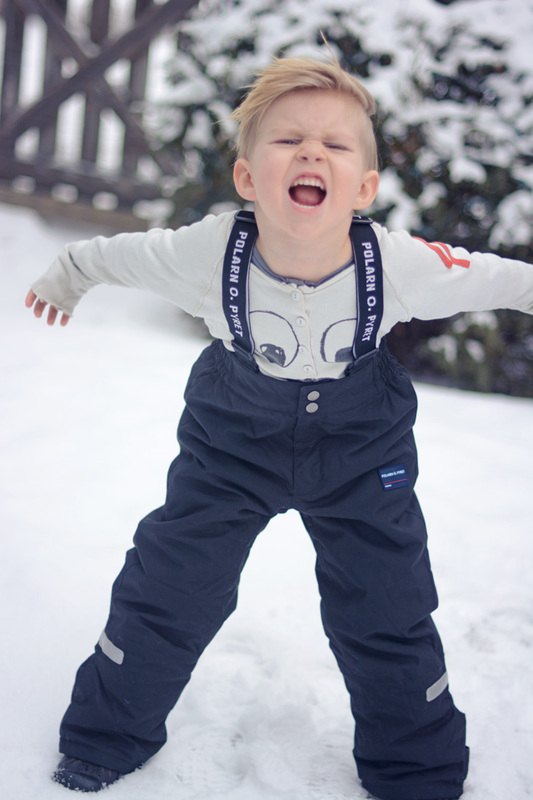 They hooked us up with these killer snow pants for the boys (check out their selection here) and let me tell you, I am sooooo mad we didn't make the investment into quality snow gear sooner. What a difference it makes when your snow pants actually cover you boots AND keep you warm. It really is a beautiful thing. When you live in a cold climate proper equipment it really is a huge factor to enjoying life - I know that now, wish I had known it sooner. These boys are living outside. They play so awesome together and love to work as a team and build in the snow! Now that they are older we have big plans to adventure and learn to do some large outdoor activities like snowboard and ski. Adventuring is a big plan for our family this year. There is something to be said about getting out in nature and enjoying the world. I can't wait to get these boys into doing some new outdoor sports. With instagram being so pretty and all, it is some times hard to look at all these peaceful simple lives and strive for those picture perfect moments, and then we are all over here getting rowdy and living messy lives. It is kind of a battle at times wondering if these people really live the most quiet and serene lives. Let me tell you, my life is loud and wild and wonderful. Yes, we are trying to minimize the things we own and the stuff we feel the need to have, but we are always striving to live a life full of experience. Adventure is good for the soul and wonderful for the mind. I am all about raising some well-rounded spirited humans. Having beautiful moments captures, yes, who doesn't love that, but there is so much more to us than that. Life is about connection and finding what fuels you, I am sure excited to make some huge strides towards adventure - my boys are totally in their element when we take on new activities. 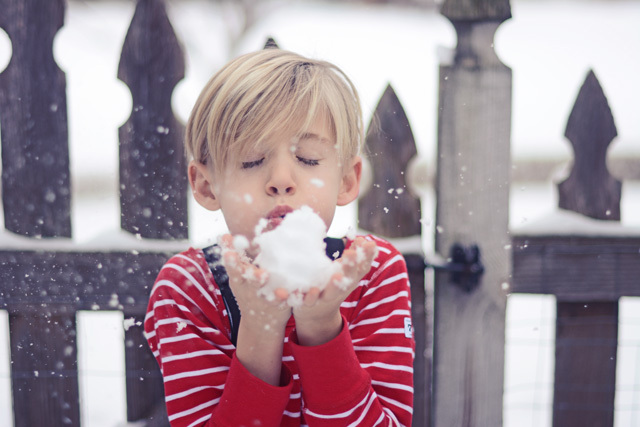 So cheers to outdoor sports even if it means sledding in the backyard! Whoop! And if you are in MN you have got to stop into the amazing Polarn O. Pyret or find them online here! They are always so helpful, and they don't even flinch when your child has a tantrum in their store! 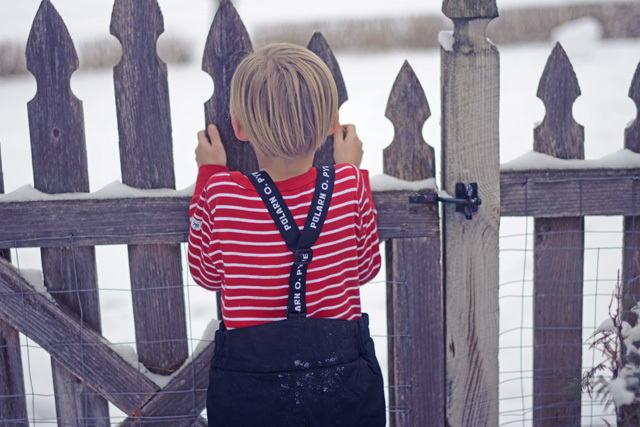 We have striped pieces from years ago that every child must have! And did I mention they have a train table to keep you kiddos busy? Even if you're in the Galleria shopping for yourself you should pop on in just to let the kids have a break and play in the store, and I dare you to try and leave without buying anything striped! Suburbia, you were a good choice. I like you. Backyard covered in snow-y footprints and amazing little shops that feel like home. Now off to Florida to meet Mickey!